Ards Tyre Service Newtownards (Modern Tyres) depot manager, Audrey Smyth gives us a tour for this months spotlight. Newtownards, situated at the northernmost tip of Strangford Lough and 10 miles east of Belfast, is a large town with numerous places of historic interest. 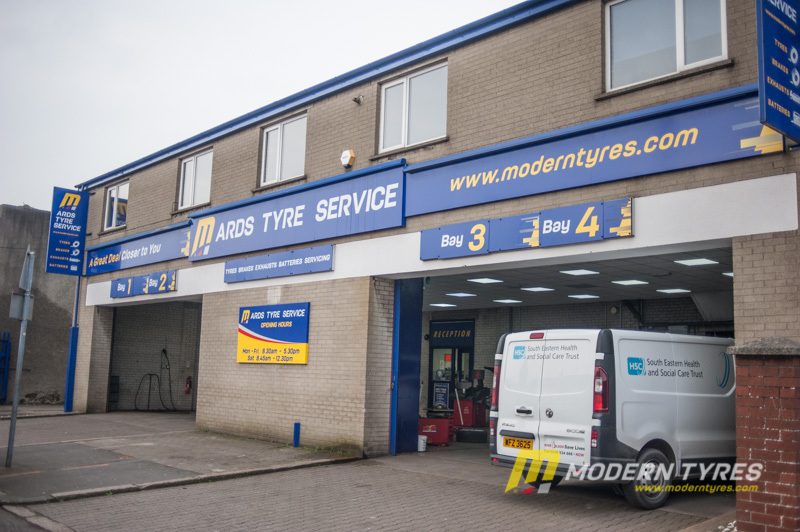 Ards Tyre Service is situated on Mill Street, a stones throw from the town centre on one side and the Ards Shopping Centre on the other, perfect for visitors to the town and shopping centre alike to pop in for a quick tyre change or check. 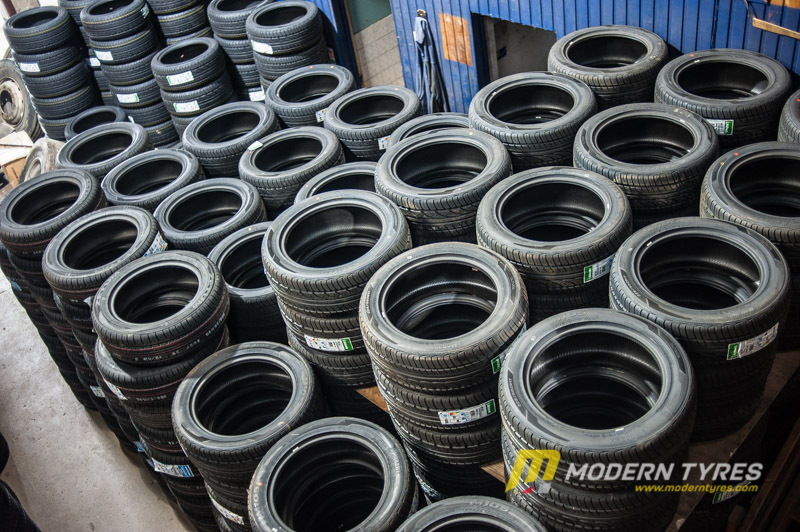 The roots of the town go as far back as 540 AD when St. Finian founded the Movilla Abbey about a mile away from the town centre. Interestingly its had it’s fair share of names. Originally called Movilla in 540 AD, it was then changed to ‘New Town of Blathewyc’ by the Normans in 1226. After the monasteries were burned down by the O’Niell’s and the town disappeared, it became known as ‘Ballylisnevin’. In 1605 the town was rebuilt and named ‘Newtown’ which later became Newtownards. However, it is now known colloquially by the locals as Ards. 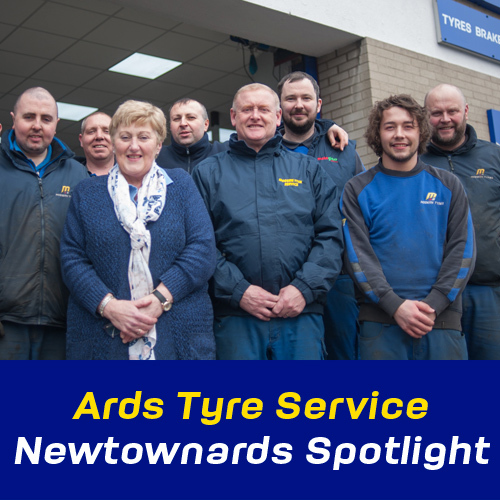 Like most large towns, Newtownards has grown to be a shopping and entertainment hub for locals and tourists alike and this places Ards Tyres in the perfect position to serve them. 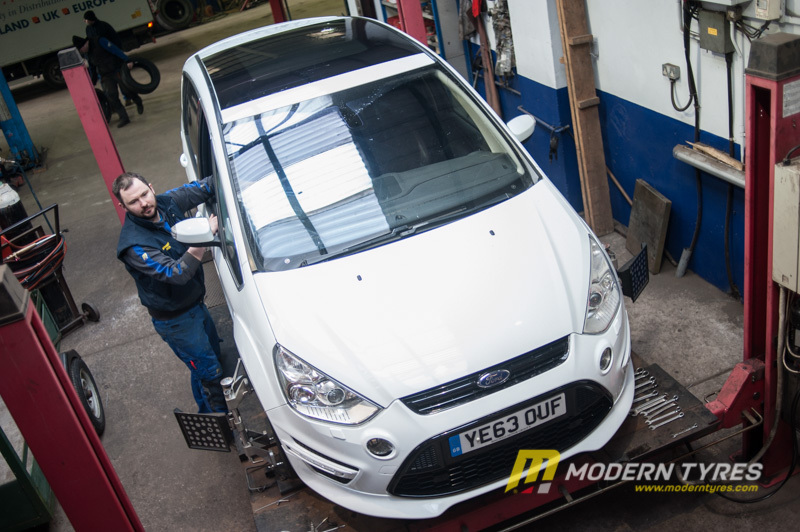 Audrey and the team are unrivalled when it comes to professionalism and efficiency. 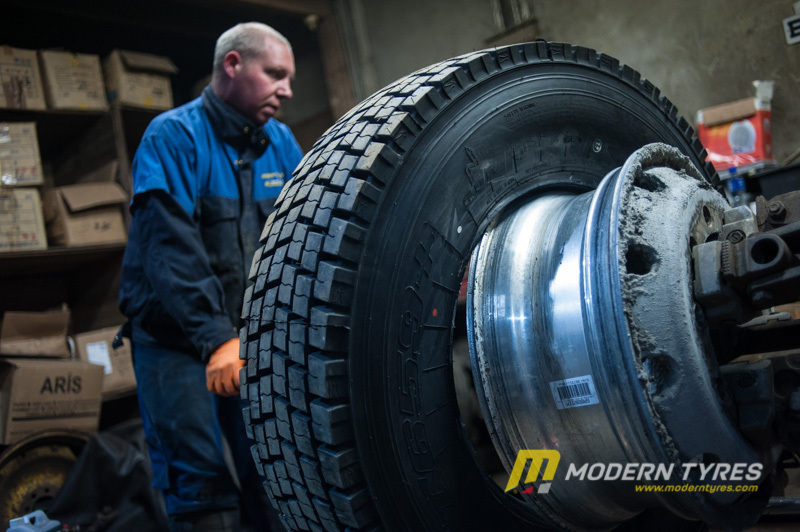 The team are experts in all forms of fitting tyres from car, van, truck, 4x4, agricultural and heavy industrial. 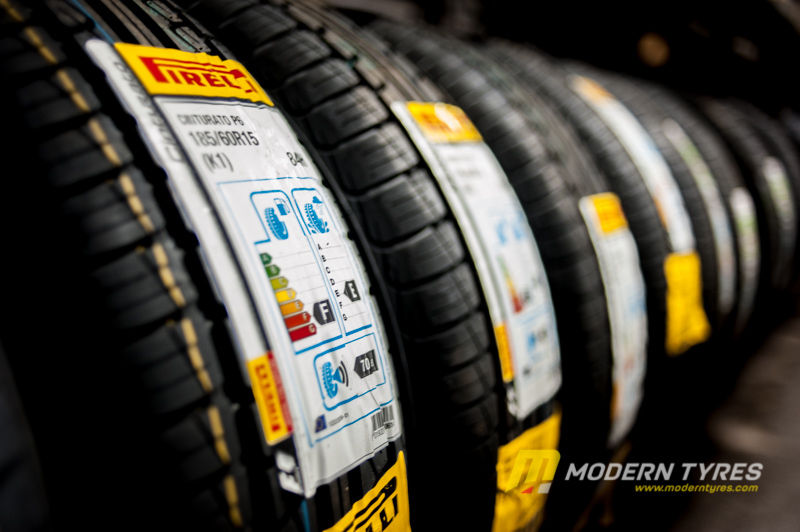 And like all Modern Tyres depots, stock Bridgestone, Pirelli, Michelin, Goodyear, Dunlop, Continental, Giti, Vredestein, Kumho and many more. 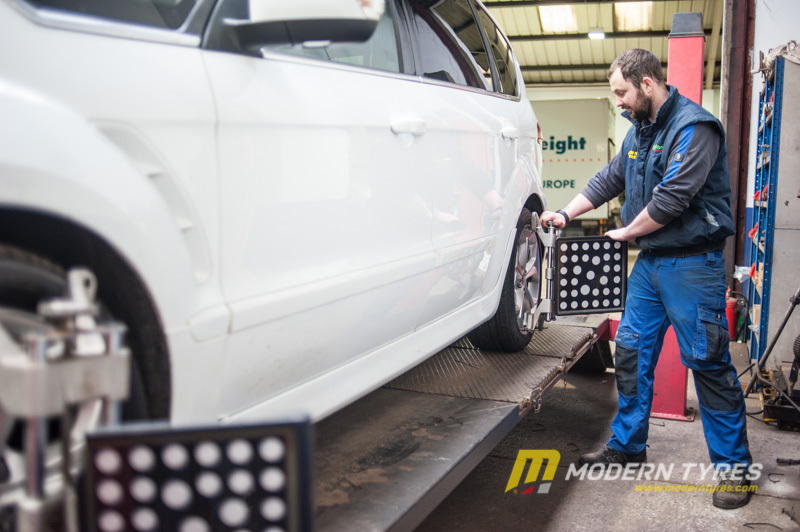 Whether it’s tyres, batteries, brakes, wheel alignments, servicing or exhausts, Audrey and the team have you covered. 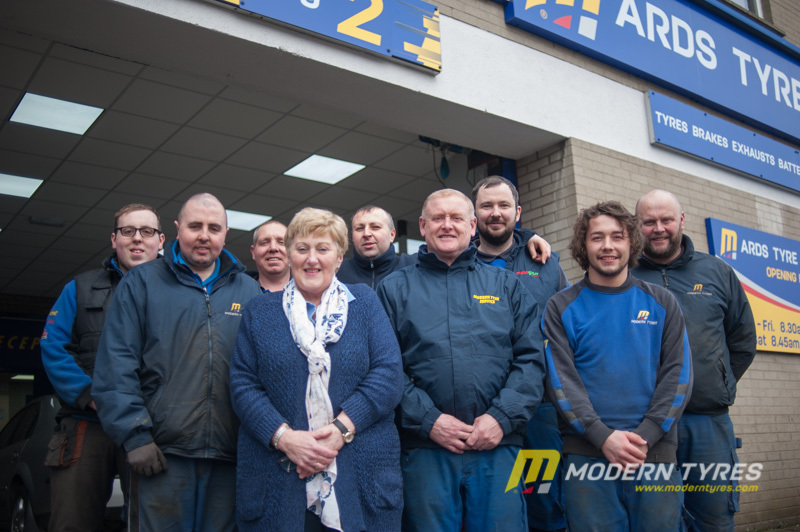 If you have any concerns about your tyres, or just need a check, call in to Ards Tyres where you will get the best service in town - and a free coffee!